1-View the introductory video (see left). 2A-Explore at least two options from the "Learning Activities" listed below. You might strategically base your choices on the response you provided to question #10 in the Pre-Session Welcome Survey. 2B-Optional: Consider inviting a colleague to learn with you and inviting them to the session. 3-Optional: Following the "Learning Activities", consider extending your thinking through the interactive, In-session Graphic (see right). 4-Have questions or comments? Need support? Help is only a 'click' away. Use the "Contact" button to message Flipping the Focus (see right). 5-For "Learning Activities - Further Options" (below), consider what innovative approaches and attention to frameworks you might bring to our conversations. Don't forget! Once you've spent time with some of the OPTIONS, below, click "Learn More" to interact with the pre-release of the In-session Graphic. "The primary purpose of assessment and evaluation is to improve student learning (p6, Growing Success)." 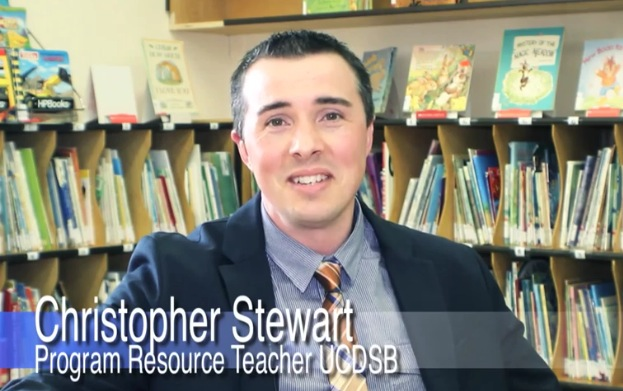 1-Read about Ontario's formative assessment principles, pp.31-32. 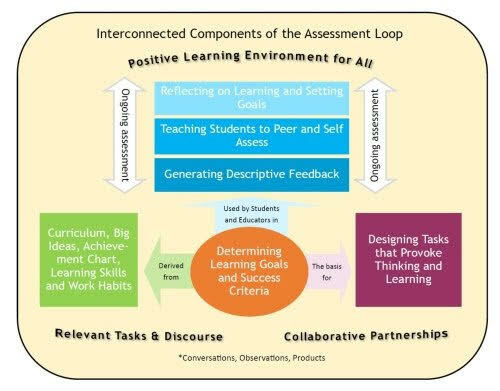 2A-Frame your thinking about effective, formative assessment practices with Growing Success, pp.33-36. 3-On this subject, explore Flipping the Focus' blog-related post(s). 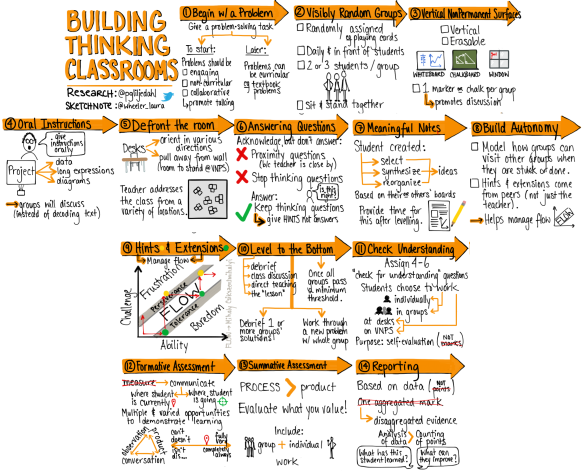 1-Read about Dr. Peter Liljedahl's (Simon Fraser University, BC) research on Thinking Classrooms. 2-A summary of #1 is also provided--highlighting 11 of 14 essential practices to building these classrooms. 3-Dr. Liljedahl has now expanded this list to 14 practices (graphic; see left). 4-Consider an example of classroom practice through this Edutopia blogpost. 5-On this subject, explore Flipping the Focus' blog-related post(s). 1-Watch the Introduction (A) & accompanying Prezi (B) for a Flipped Learning continuum. Wrap up your video experience with "Teaching for Tomorrow" (C) videos (see right). 2-Explore the definition of Flipped Learning through The Four Pillars. 3-Consider some summary graphics (see right, then to link, below). ​4-On this subject, explore Flipping the Focus' blog-related post(s). 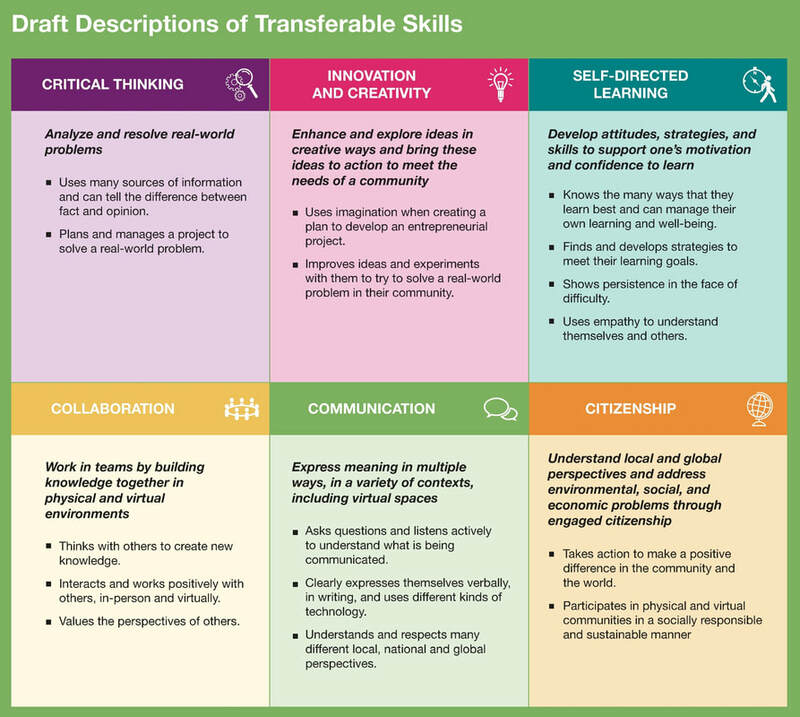 1-Review Ontario's anticipated set of Global Competencies ("Transferable Skills"). 2-Examine the evolution of Ontario's Learning Skills from Growing Success (pp. 10-14) to the anticipated set of "Transferable Skills" (in #1, above). 3-Leading towards this subject, consider Flipping the Focus' blog-related post(s) on Thinking Classrooms, Innovation & Problem Solving. 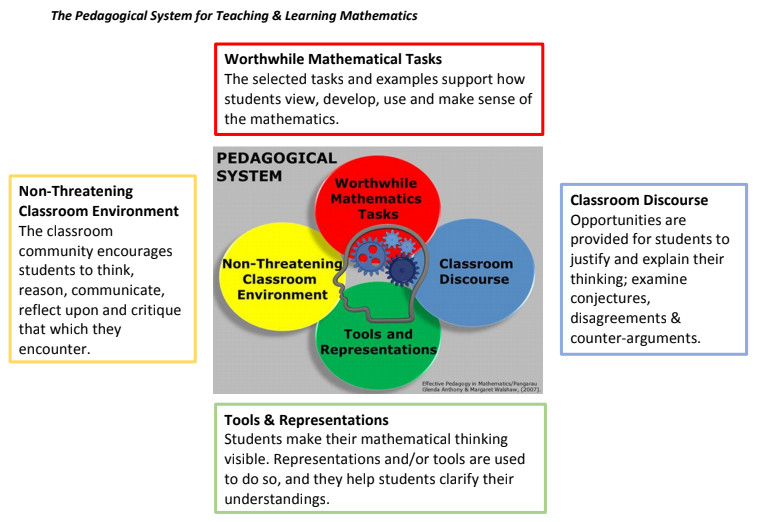 1-Familiarize yourself with effective practices leading to the Pedagogical System. 2-Consider making connections to your leadership/classroom practice with these criteria. ​3-On this subject, explore Flipping the Focus' blog-related post(s). The “Before You Arrive” activities serve to offer you first-exposure to the principles we’ll be considering through our session. With some of our whole-group learning moved into your time and your space, we’ll be better equipped to spending more of our time integrating our thinking, building our knowledge and co-creating criteria for reaching our in-session learning goals. In addition to the activities presented, what other innovative approaches and attention to frameworks might you consider bringing to our conversations? Contact: Have questions or comments? Need support? Help is only a 'click' away. Click HERE to message Flipping the Focus.